Welcome to Lavender Hill. Simply put-our Passion is Flowers. Flowers as art..Flowers speaking the words you cannot..Flowers just because. We strive for unique, and appreciate the occasions to be truly creative. 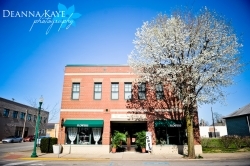 We are an award winning shop where the Owner and Principal Designer is an AIFD accredited designer and certified floral judge and evaluator. 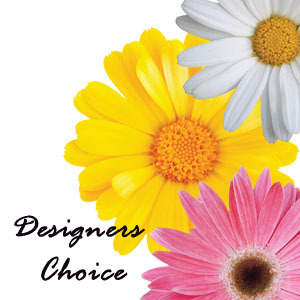 We have very talented designers on staff who will take excellent care of your special order. Delivering to Southern Indiana and Louisville. Great service - flowers received before 12 and my mum was delighted, thanks! Awesome service. Called me regarding the flowers and was extremely courteous and professional. Delivered the flowers quickly!! Classic dozen premium long stem red roses in glass vase with baby's breath and filler. 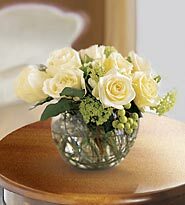 12 premium long stem roses with baby's breath and foliage in glass vase. You may request your preferred color choice. 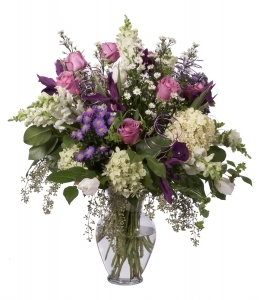 This beautiful assortment of the season's very best blossoms is a Sympathy favorite. 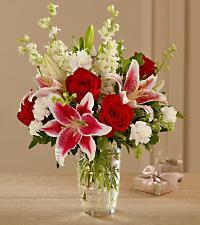 It contains our season's best premium flowers including lilies and roses complimented with other favorites. Please indicate an assorted color scheme or pinks and whites. 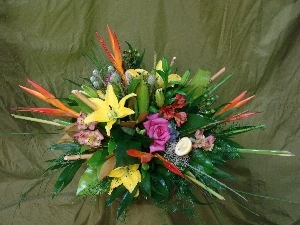 A very lush arrangement of tropical and exotic flowers designed with focus of the flowers. 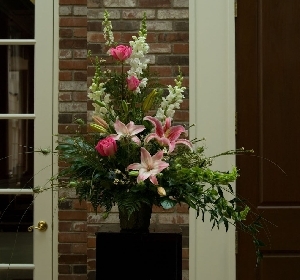 Allow our designers to use the best of the market's blossoms to create this stunning arrangement. Seasonal arrangement in glass bubble bowl. 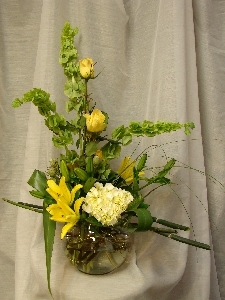 Design includes lilies and bells of Ireland. Shown in yellow also available in orange or creme. Simple beauty. 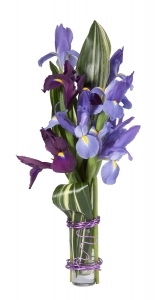 . . Beautiful Dutch iris in lavender and blue tones. Sleek contemporary styling accentuated with rich aspidistra foliage and colored coil accent. As seasonally available. A beautiful combination of soft color. 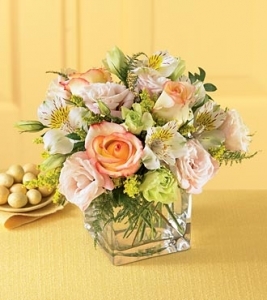 Roses, Peruvian lilies, and lisianthus delicately tucked into a contemporary glass cube. Perfect, pastel petite. Fragrance like crazy!! 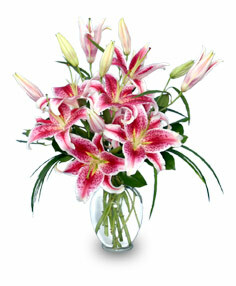 A great combination of lilies and roses with additional white seasonal flowers. 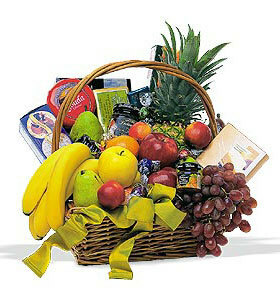 A lovely gift for any occasion. 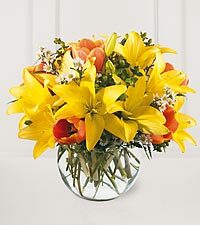 Bright asiatic lilies and spring tulips accented with miniature seasonal blossoms. A contemporary favorite. 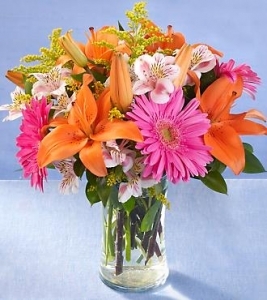 A beautiful mix of colorful Gerbera daisies and Asiatic lilies. 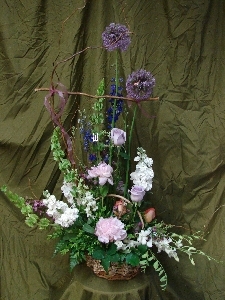 A fun fresh arrangement and Client's favorite. A beautiful seasonal mix of roses and other breathtaking blossoms arranged in a vase. Lush, full and fragrant. Contemporary design of Stargazer lilies. 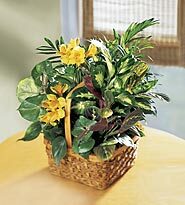 Fragrant and fresh with delicate accent flowers. 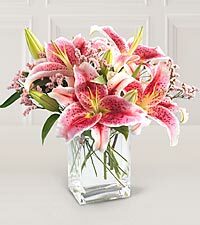 Fragrant stargazer lilies arranged in a beautiful glass vase with exotic grasses. 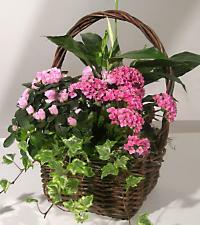 For the Garden Enthusiast. . A mini garden filled with lovely Spring Flowers. Please allow us to select the season's best blossoms to create this garden design. Colors and blosoms will vary to reflect availability. Only premium flowers will be included. Select this item with confidence.